There's a major exhibition on Vikings at the British Museum at the moment, which aims to show that these Nordic warriors set foot on four continents, usually pillaging but sometimes trading peacefully. Although they acknowledge that the fearless Vikings reached Canada, the curators of the exhibition are focussing upon the Nordic excursions eastwards into Russia. This speaks volumes about archaeology's temperament when it comes to who got to America first. If they can barely bring themselves to celebrate the self-evident Viking colony in Newfoundland's L'Anse aux Meadows, then establishment archaeologists are a long way off from dealing with the evidence of Viking infiltration across their 'Vinland' as far as Minnesota during the 12th-14th Centuries, as described by researcher and author Frank Joseph in this remarkable book. It would appear that the Vikings might have been seeking a safe haven from the Plague that was decimating Europe. The motivation to escape across the ocean and start afresh is a running theme in the book (especially the later alleged pre-Columbian arrivals, like the Welsh (!) and the Templars). Mariners from all over the ancient world have left behind evidence of their presence in the Americas, dug up by unsuspecting modern locals. That evidence, as compelling as it often is, is routinely debunked by mainstream archaeologists. And when an academic specialising in a particular ancient civilisation asserts that discovered writings stand up to closer scrutiny, irrespective of the fact that the artifact was discovered in the Americas, then the scholarly recognition that the evidence is authentic is simply ignored. Looking at a map it is clear that the distance between West Africa and Brazil is half that overcome by Columbus, presenting little obstacle for ocean-going vessels powered both by oars and sails. When lone sailors regularly appear on our modern sea-lanes circumnavigating the world, is it so unreasonable to presume that the ancients were incapable of crossing to the Americas and back? It's little wonder that Diffusionist writers like Frank Joseph express a sense of deep frustration. Perhaps what the whole contentious subject needs is a Hollywood movie - "Romans Versus Indians", that kind of thing! Let's start at the beginning with a people of great interest to many of my readers. The ancient Sumerians provided history with its first civilisation - in a recognisable format, anyway. They had ocean-going vessels, a need for tin (which could be adequately met by the ample resources in South America) and a penchant for building ziggurats sharing remarkable similarities with Mesoamerican step pyramids. But what of the evidence? As far as the Sumerian presence in the Americas go, perhaps the best evidence to date are the geographically-related Magna Fuente vessel and the Pokotia Monolith from near Tiahuanaco, which together indicate a strong cultural and linguistic crossover between Sumer and the local emergent civilisations sometime between 2042 and 2030BCE, during the Sumerian Renaissance period (p35). Similarly dated cuneiform inscriptions pop up on ancient relics found elsewhere across the Americas, too, as the author describes at length. The ancient Egyptians appear to have been partial to consumable products from the Americas. The author describes analyses of the stomach contents of mummies which show tobacco and coca product traces. 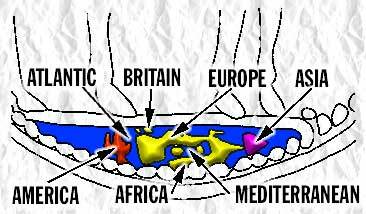 The mythical land of Punt fits the Americas, he argues. 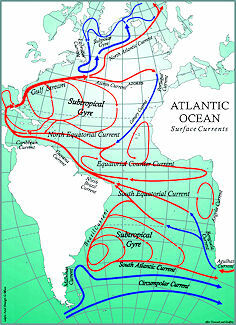 Whether the Egyptians were capable of crossing an ocean under their own steam is a stumbling block, I would suggest. But that's not to say that those famous ancient mariners the Phoenicians couldn't have provided the trading fleet that facilitated the ancient Egyptian taste for American-sourced narcotics. Certain Phoenician coins have maps showing America inscribed upon them, argues geologist Professor Mark McMenamin, and a number of Phoenician coins minted in the ancient North African city of Carthage have been found along American eastern seaboards. But it's not just the Mediterranean peoples heading West that should interest us - there is plenty of compelling evidence for voyages across the Pacific made by the Japanese, Chinese and Indonesians. The evidence provided by the author is comprehensive; not just archaeological and cultural in nature, but also genetic. Japanese influences turns up in Ecuador, Chinese in the north-western States of the USA, and there are incredible parallels between the architecture of Indonesian monuments and temples found in Mesoamerica. My appreciation of ancient history has shifted as a result of reading this book, taking on a more global perspective. Christopher Columbus was only one in a long line of explorers to reach American shores. The difference was that, far from escaping from some dire state of affairs back home, Columbus had every intention of returning to a powerful and highly resourceful Europe to share his momentous discovery with his rich, ambitious backers. Historians may argue that the contents of ancient shipwrecks could have washed up on American shores, leading to some of the physical evidence that has emerged, but I think they underestimate the resourcefulness and knowledge of the ancients as they relentlessly explored our world. Subtitled "A Comprehensive Guide to the Pre-Columbian Visitors that Really Discovered America"